A DVD is a great tool for learning any musical instrument, and far more helpful than a book or CD alone. Being able to see the music played in front of you can help your progression hugely, and there are some very good quality teaching DVDs out there, such as the Ralph Shaw range, The Joy Of Uke and the Absolute Beginners DVDs. This is probably the best ukulele tutorial on the market, and has been for some time. Ralph Shaw is a great teacher, very knowledgeable and very entertaining. The course takes you from the basics to some impressive playing in no time at all, without ever losing you or dazzling you with technical info. 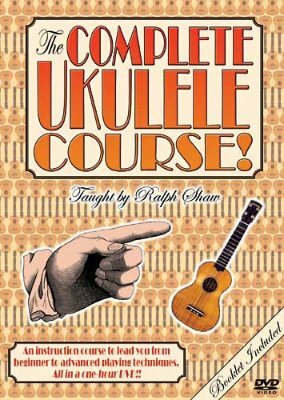 If you can find them, Ralph Shaw also offers a great tutorial DVD for kids, plus an advance DVD called Essential Strums".